Sunday, October 1, 2:00 PM, Lincoln. This reading will initiate the Angels Theatre Company’s 2017-18 Salon Reading Series on the theme “Coming to Terms with the Past.” Iron Tail Gallery. Saturday, October 21, 3 PM, University of Nebraska at Omaha. Annual membership meeting of the American Association of University Professors’ Nebraska State Conference will be from 9:30 AM to 2:30 PM. - Mammal Hall at UNO room 218 or 216 at 3 PM. Saturday, October 28, 10:30 AM, Lincoln. AFCON annual membership meeting. UNL Student Union - check call board for assigned room. Angels Theatre Company is collaborating with Iron Tail Gallery and AFCON the Academic Freedom Coalition of Nebraska to present readings of David Wiltse's play Sedition during the month of October 2017. 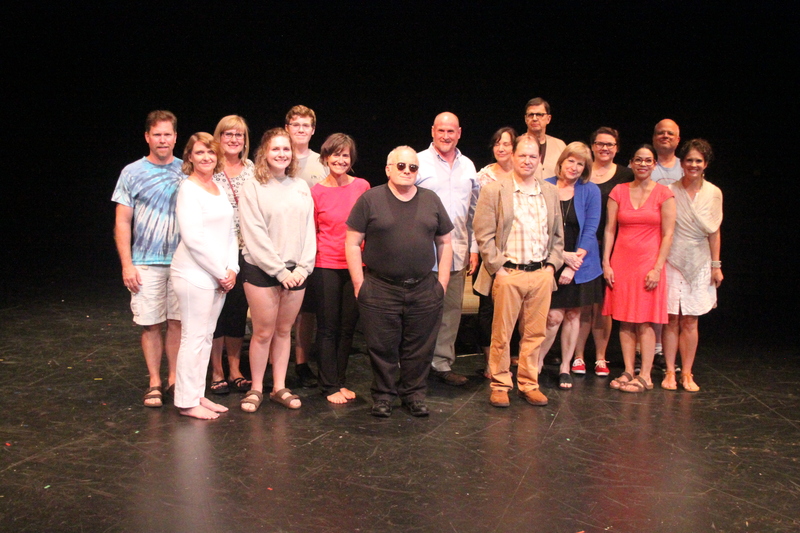 Wiltse’s play is based on the disloyalty trial that took place during World War I when eleven professors and one staff member were accused of disloyalty and put on trial at the University of Nebraska. Wiltse’s grandfather, Andrew D. Schrag, professor of German at the university, was one of the twelve accused of disloyalty and is the play’s protagonist. War hysteria gripped Nebraska in 1917-1918, and anyone who disagreed with the government or criticized it in any way could be arrested and thrown in jail. A century later, questions of academic freedom in times of patriotic fervor and ethnic hysteria remain as relevant as ever, and not just in higher education. Most Nebraskans don’t know that every Nebraska school district is required by a 1949 law to have a “committee on Americanism” charged with monitoring the history and civics curriculum to ensure the production of a “patriotic citizenry.” LB 308, a bill introduced in the Nebraska legislature in January 2017, is designed to activate these committees. We hope the presentation of Sedition will increase historical awareness and spur useful discussion about the exercise of freedom in 1917 and 2017. CHANCELLOR: A university is famous for people with opinions. This is not the time for opinions. SCHRAG: But, surely, freedom of speech and academic liberty affect the university most profoundly. CHANCELLOR: That’s very grand, but I hardly think that you, personally, carry the mantle of intellectual freedom on your shoulders, do you? Not when the opinion of the people is arrayed against you. This is the Chancellor of the University of Nebraska, where Andrew Schrag is a Professor of German. The time is 1917-18, and the dialogue is from Sedition by playwright David Wiltse, Professor Schrag’s grandson. 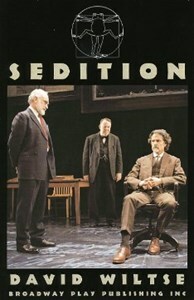 Angels Theatre Company is presenting three readings of Sedition in October 2017 to commemorate the centennial of the events it portrays. At each reading of the play, the Academic Freedom Coalition of Nebraska (AFCON) will provide historical background concerning the 1918 University of Nebraska professors trial, in which a dozen professors were put on trial before the Board of Regents for not being sufficiently loyal and anti-German as the U.S. went to war with Germany. Saturday, October 21, 3 PM, University of Nebraska at Omaha. Annual membership meeting of the American Association of University Professors’ Nebraska State Conference will be from 9:30 AM to 2:30 PM. 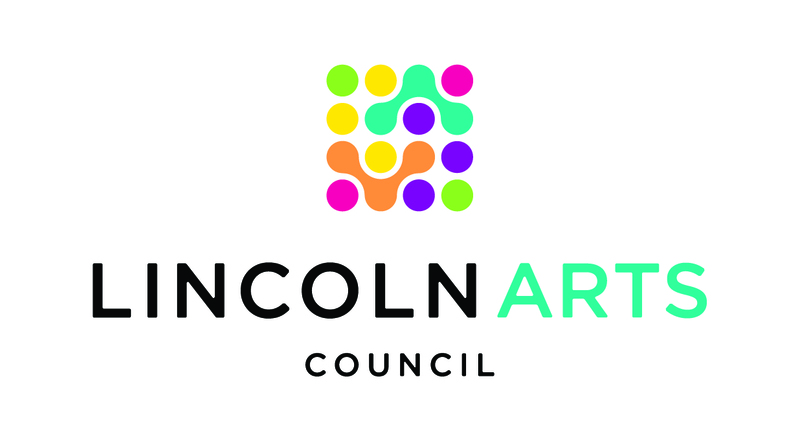 Saturday, October 28, 10:30 AM, Lincoln. AFCON annual membership meeting. SCHRAG: Every man is free to voice his view on any folly just as I am free to dispute it. It’s called freedom of speech. I hold it precious. [PROSECUTOR] MEGRIM: I couldn’t agree more. Nothing is more precious than the freedom of speech except the freedom of this country. We are here today because of the possibility of sedition. And what is that but the misuse of freedom of speech?Although Andrew Schrag was not dismissed, victims of the 1918 professors trial included Harry K. Wolfe, who got his Ph.D. in Germany and brought the new scientific psychology back to Nebraska in the 1880s; Andrew Luckey, an expert in child study and pedagogy who founded and led what became the college of education; and Clark Persinger, a staunch defender of academic freedom who headed the Department of American History. CHANCELLOR [to SCHRAG]: What would happen if everyone went around practicing his “freedoms”? The average man doesn’t know what his freedoms are and doesn’t exercise them. He worships the gods his parents gave him and agrees with the loudest voice he hears, he does what he’s told and he’s happy to do so — it relieves him of the burden of thinking. If everyone said and acted as he wished, authority would be forced to sit upon us like a stone on an egg. We have freedom only as long as we don’t exercise it. A century later, questions of academic freedom in times of patriotic fervor and ethnic hysteria remain as relevant as ever, and not just in higher education. We hope the presentation of Sedition will increase historical awareness and spur useful discussion about the exercise of freedom in 1917 and 2017.